Relative humidity and temperature plays a significant role in pharmaceutical manufacturing and it is a critical parameter in dry powder injection manufacturing. Moisture remains to be a great risk to the pharmaceutical industry. Moisture is known to cause deterioration of hygroscopic substances, it activates reactions between containers and the pharmaceutical substances contained in them and it is also known to cause solidification of dry powder injection. Drugs are chemicals and they chemically change when subjected to unfavorable conditions. Due to this, pharmaceutical products should be kept in environments with the right temperatures ranges that will not alter their quality or functionality. But why should RH and temperature be controlled in dry powder injection manufacturing? Find out below the role of RH and temperature in dry powder injection manufacturing. In the manufacturing processes, pharmaceutical substances that absorb moisture from the environment are hard to grind. The substance will, therefore, cling to the grinding machine there leading to defying of pneumatic transfer. This means the end powder that is going to be produced will not dissolve well when the time to inject it into the patient. Powder injections that do not dissolve perfectly normally have a low bioavailability in the body of the patients and their pharmacokinetics attributes are always poor. The presence of moisture in the substance impairs the reactions that are involved in the competent manufacturing of the powder. When the manufacturing processes are compromised, the end quality of the powder will be generally low. Low-quality powder has a short shelf-life and it might end up expiring before the estimated expiry date reaches. Besides the short shelf-life, the product might also cause adverse reactions to the patients and it might be ineffective in performing the purported role. Control of humidity is therefore important to the pharmaceutical companies so as to facilitate the production of high-quality powder. The Role of RH and temperature in dry powder injection manufacturing is therefore to facilitate the production of high-quality powder that will not only work excellently but that will also last long without reducing quality. 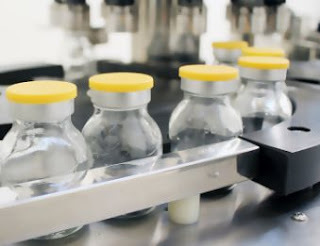 Every pharmaceutical company should be in a position to install an automatic humidity and temperature control systems so that the manufacturing machines will always be producing the high-quality product. Most of the humidity range required is between 30 to 45% RH depending on the drug powder that is being manufactured. There are standard requirements for every powder injection manufacturing so it is good to check before starting the process. Most pharmaceutical companies are located in the wet and cold regions where it is always required to have humidity control systems.